The Weight of Glory is a very interesting book that I read today. I picked it up at a yard sale because it was by C.S. Lewis and the cover looked interesting. I hadn’t even heard of it, but after reading it I’ve decided that it’s a very good book. It’s actually a collection of eight essays and sermons that C.S. Lewis wrote in his middle-aged years. The first, essay is what the book is named after, and is also the longest, being about one-fifth of the book. It discusses heaven and the concept of glory. Lewis argues that heaven is something that we should look forward to, even if we can’t see the benefits of it now. In the second half of the essay, he analyzes glory and how that relates to heaven. The second essay is entitled ‘Learning in War-Time’ and is a talk that C.S. Lewis gave to a group of Oxford students during World War II. It summarizes different thoughts about learning and why war exists. Following this essay is ‘Why I am not a Pacifist’, which compares Reason with Conscience, and examines why conscience controls pacifism. ‘Transposition’ is the fourth essay, and it is more difficult to understand. I had to look several words up and C.S. Lewis seems to be speaking to a very educated crowd. Transposition is the relation of a lower thing to a higher, as in 2 and 3 dimensions. C.S. Lewis takes this topic and relates it to our spiritual lives and relationship with God. The fifth essay had a very interesting title: ‘Is Theology Poetry?’ In it, C.S. Lewis observes what poetry is, and then compares modern beliefs (evolution) with Theology, against the backdrop of poetry. He concludes that Theology is not poetry but then goes on in further comparisons of theology and science. ‘The Inner Ring’ was the sixth essay that touched on inner rings, or ‘secret societies’, cliques as we now call them. Lewis compares the false happiness that can be gained from these groups to the real happiness gained from friendship that appears to be an ‘inner ring’. In his seventh talk Lewis talks on ‘Membership’, which covers such topics as collectivism, democracy, and the concept of the body of Christ. The last essay, ‘A Slip of the Tongue’, talks about eternity. Since the book isn’t one continuous book, but instead covers eight different smaller subjects, I think it is best to read this book slowly…maybe one essay at a time. This allows you to digest and think about Lewis’ comments on each subject better. 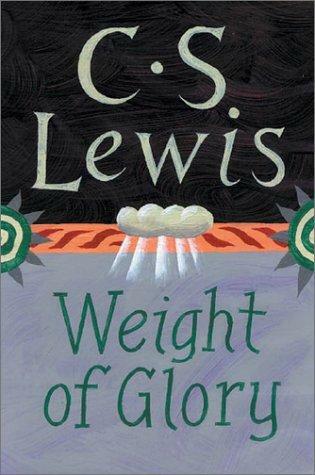 All in all, I thought that most of what I read in ‘The Weight of Glory’ was very good and well worth reading again. Just for the record, this book is pretty hard to understand. It’s very interesting, but you’re going to want to have a dictionary and maybe even a thesaurus handy when you read it. Lewis uses a lot of hard words in it, since he was speaking to very educated crowds! This book is absolutely incredible, for those reading the above review. I strongly recommend it. I don’t like to be a critic, but I am somewhat puzzled by the generally uninterested summary of the book that seems to be passing as a review here. The book is very rich in material, and is some of Lewis’s best work in my opinion, which is saying something. And of course you should read it slowly, its C.S. Lewis for goodness sakes! He crams a lot of profound stuff into a unusually small space. Lets just say that as a fellow disciple, I am kind of disappointed to see this somewhat bland review. I wouldn’t comment if I didn’t care. I’m sorry you feel that way, but I would like to thank you for writing such a polite comment–many people on the internet just shoot their views out in an immature way. Thank you. As to the book: I also thought it was incredible. 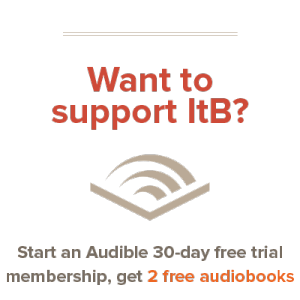 Into the Book is a learning experience; as we review we learn how to better write reviews. I, personally, struggled with encapsulating eight very unique essays in to one short review (length is key). Again, thank you for you comment–I appreciate it.